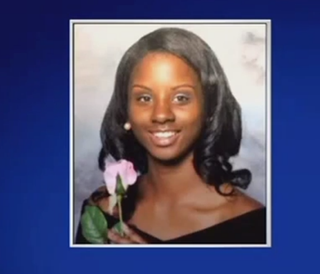 A Newark high school cheerleader was shot and killed two weeks after her graduation, and New Jersey police are searching for any witnesses, CBS New York reports. “They told her to get on her knees and they shot her in the head execution style,” Michael Bond, the uncle of 17-year-old Cheyanne Bond, told the news station. Cheyanne, who had just graduated from Malcolm X Shabazz High School in Newark, was walking with her ex-boyfriend Sunday night along the city’s West Side Park when both of them were shot, the news site notes. The ex-boyfriend survived. “Just happened to be at the wrong place at the wrong time,” Michael Bond said. According to CBS New York, the authorities released surveillance footage on Tuesday showing two males who may have seen the shooting. They were walking along the same street just minutes after the incident occurred. Cheyanne, who had plans to study nursing at Union County College in the fall, was described as hardworking and quiet. Her college tuition will now be used for a funeral.